I had heard something about a new Alan Wake game, released as a short XBLA downloadable title, way back in February of this year. I jotted the game down in my mental list of titles to look up later and then promptly forgot about it. The game came and went without much of a murmur, obscure to even to the collective consciousness of my twitter feed. Then sometime last month I noticed that the game was on sale. Not via the XBLA dashboard, mind you: it’s impossible to find anything game-related there nowadays. Somebody on Twitter, maybe a Remedy employee, mentioned that Alan Wake’s American Nightmare had gone on sale. I booted up my trusty 360 and after ten minutes of struggling to find the game in Microsoft’s labyrinthine user interface, I finally discovered it wedged between an ad for a sports drink and a promo for The Avengers. There was little reason to wait for a sale, though–the game only costs $15 full price. Though I enjoyed the original Alan Wake, the DLC missions didn’t grip me and eventually I left them unfinished. Frankly, I was expecting American Nightmare to be more of the same. And while it is a throughly Alan Wake game, I am happy to report that it is really good. So good, in fact, that I like it more than the first Wake game. You can read my review for details. The game is interesting, fun, and very smartly designed. I am a fan. Nice. I have played about half of Alan Wake on my Xbox and still need to play the rest. I was also leery of the DLC but now I think I’ll check it out. Did you notice, does the dlc load or feed off your save games at all or is it entirely independent in regards to story and decisions? 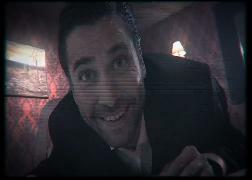 You want to beat the first Alan Wake before playing the DLC, I think, as the story picks up where the game ends. American Nightmare doesn’t read your save but the story is also a continuation of the first game, so it’s worth finishing that one first. You can play them out of order but there are story spoilers. This is a fortunate surprise. I had expected American Nightmare to be pretty bad, but I’m glad to hear that it may in fact be more enjoyable than the first. It will also give me a reason to actually use my 360 again. Great review, and glad you posted this! I enjoyed the DLCs but was disappointed by American Nightmare. The Groundhog Day aspect of American Nightmare grated on me. Also I wasn’t too sure about the live action scenes, sort of took me out of the game. Great game, period. I do hope the eventual sequel will perfect it further.